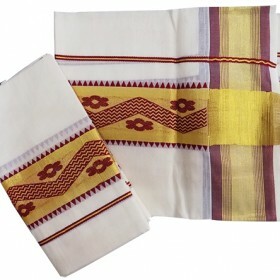 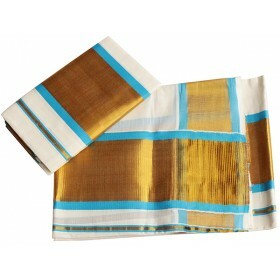 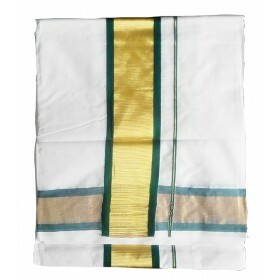 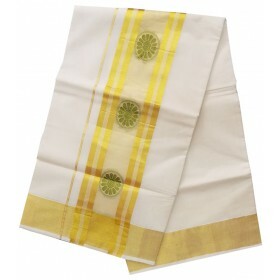 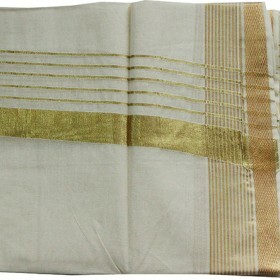 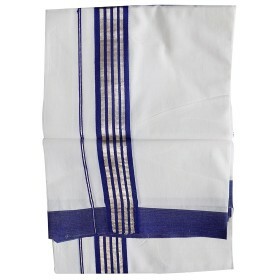 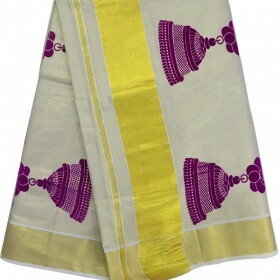 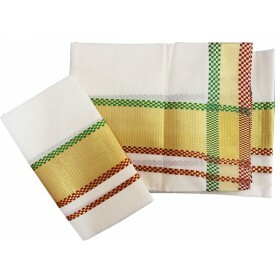 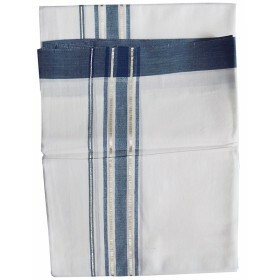 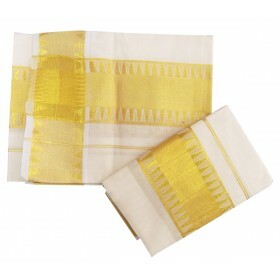 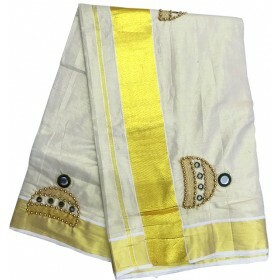 Latest kerala mundu brocaded with long border kasavu and thin golden stripes along with is the ..
Everybody need new variety in their ethnic wear, this is a new model Kerala traditional hand painted saree which looks like half saree once we wear it. 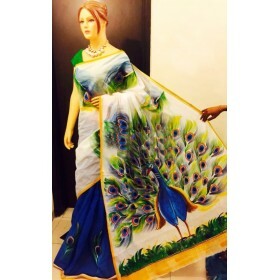 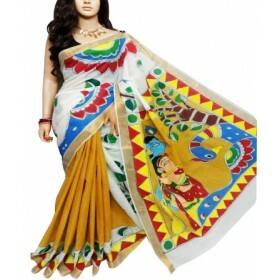 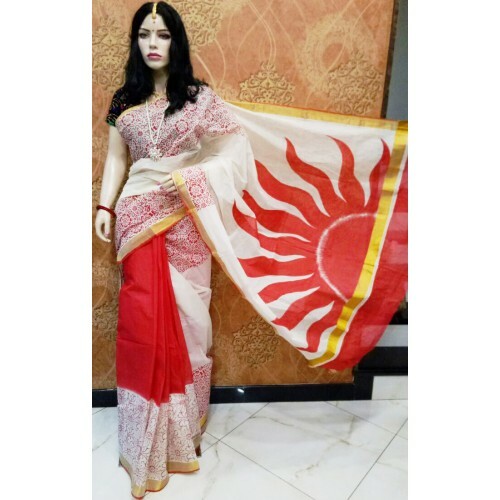 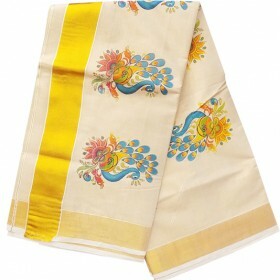 It has red color rising sun (udhaya suriyan) hand painted design on pallu and top of the fleet we have floral vector design on both border makes amazing. 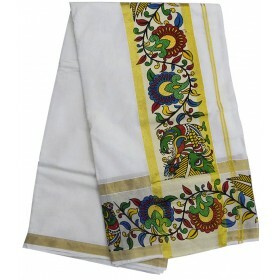 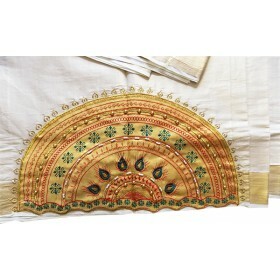 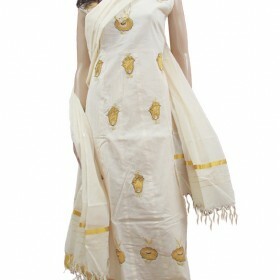 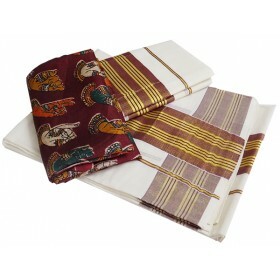 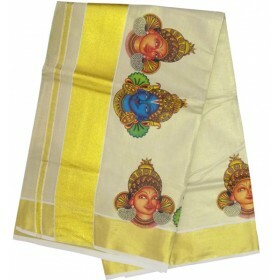 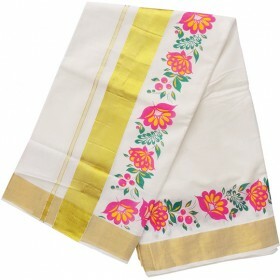 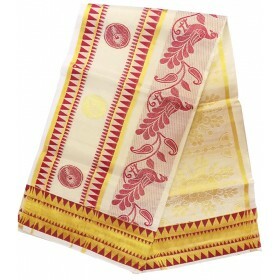 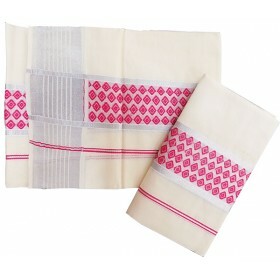 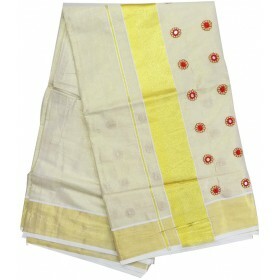 On bottom fleet it is red color having floral design on border gives simple beauty to the saree.